Michigan is stout with natural resources and regions that grow perfect beer ingredients. 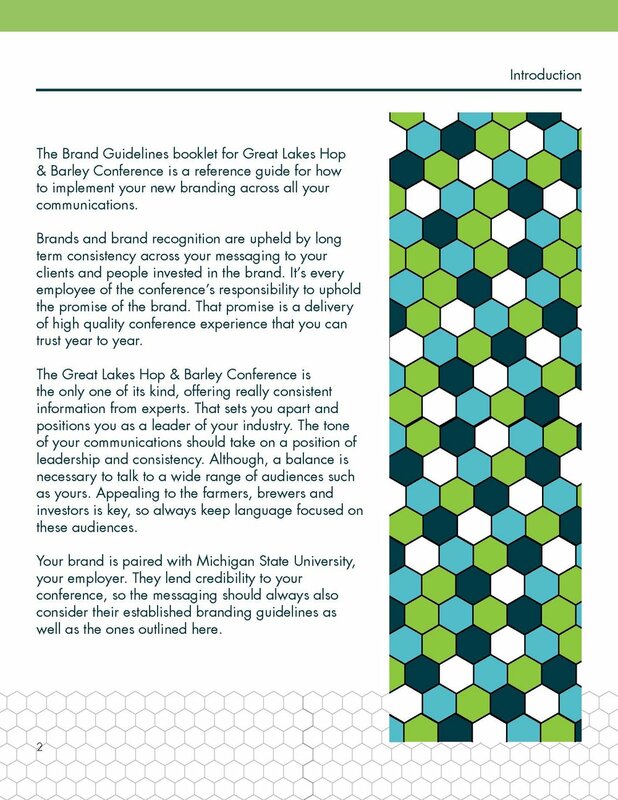 The Great Lakes Hop & Barley Conference, put on by Michigan State University each year, brings together those resources, farmers, brewers and scientists. Erin Lizotte, one of the organizers and educators for MSU Extension in Cadillac, approached me to tackle a new logo for them. I was invited to come to the conference in 2017 and analyze their existing branding and how the conference flows. I attended lectures, dinners and more lectures. I learned a lot about the farming aspect of craft beer and gained a totally new level of appreciation for our region's beer especially. The GLHBC needed a newer, brighter, more attractive logo that targeted their audience more directly. The logo they were working with was a bit dainty for the mostly male audience. They wanted the new logo to speak to the science of the beer industry, and the connections people make while they are at the conference. It needed to be strong, and to also work with the MSU logo. The process started with a pinterest board after multiple discussions about the direction they needed to go. The audience drove the visual research - farmers, brewers, equipment manufacturers - all needed to be reached. From the board, the organizers I worked with chose colors and a general direction that included a farmer. I took that and made the first round of logo options. They chose the early versions of the direction you see displayed here. 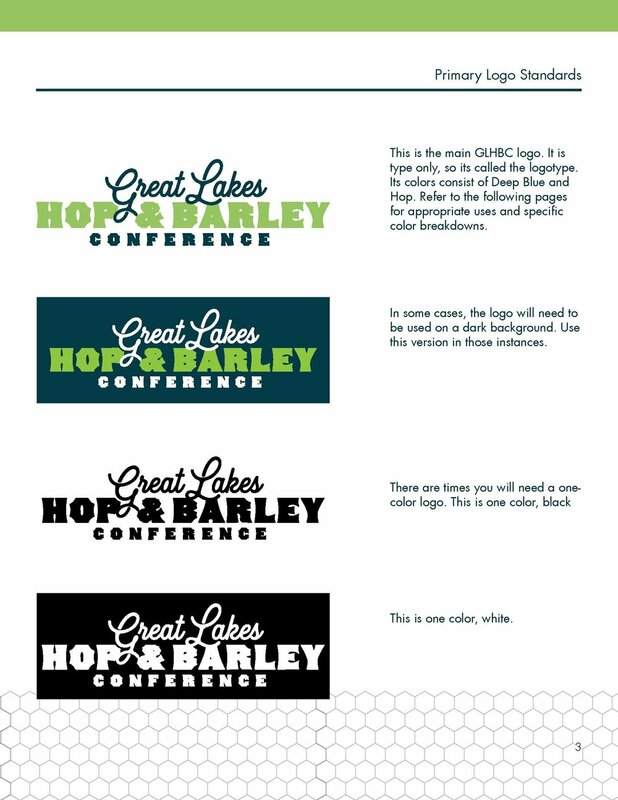 The icons in the logo kit make up the elements of the conference by representing Michigan, water, beer, hop & barley, farmers and the geometric shape becomes the every growing connections throughout the industry. They got a full set of files and variations, as well as a detailed branding guide to help them effectively use the new graphic design. The results I will report back on, as the next conference happens in Spring of 2018. It was amazing to work with their dedicated team to make something bold and new for them. I'm excited to see how they use it and how it transforms their conference. Let's make something together! Get in touch!